Today, Chinese wine is booming. The Communist government toned down its anti-business rhetoric, which has helped encourage small winemaking businesses, while the new, wealthier middle class has emerged as an eager market. Local production, too, has ramped up in both quantity and quality: In 2015, China overtook France as the second-largest wine grower in the world by vineyard area, with a landmass around the size of Puerto Rico under vine. It’s the world's fifth-biggest consumer of wine overall by volume, per the International Wine & Spirit Research (IWSR), and the world's top consumer of reds, besting heavyweights France and Italy, per Vinexpo. Curious to sample China’s own vintages in situ? Here’s a primer to help with planning. 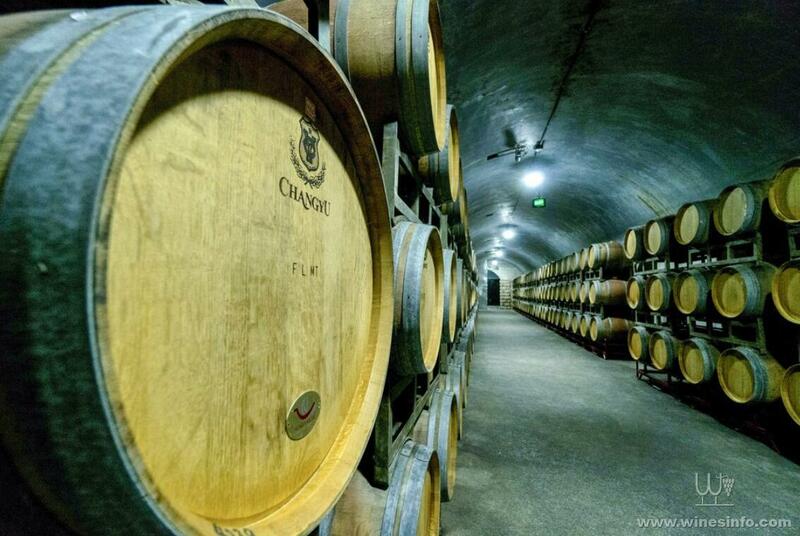 Beneath the Changyu Wine Culture Museum is this Grand Cellar, first built in 1894. You’ll find this area, with more than 1,000,000 acres under vine, in the central northern reaches of the country on the edge of the Gobi desert. The weather—the climate varies between arid and semi-arid—and terroir (easily irrigated by the Yellow River) are both favorable, and the government has committed major funds to underpinning the developing industry here, says wine expert Emilie Steckenborn, who hosts the podcast, Bottled in China. Come here if you’re a pioneer: “This is for the adventurous wine drinker who’s willing to experience history as it’s being made," says Steckenborn. "The people are passion-driven. You’ve got to be an open-minded taster." Steckenborn suggests bedding down at the sole luxury hotel in the city right now, the five-star Kempinski Yinchuan. (To get there: Fly into Ningxai airport. Given the distance between vineyards, don’t plan to visit more than three in one day. Book a driver to maximize your time, but instead of relying on pricier, hotel-provided cars, email the vineyard and ask for recommendations. It’s also worthwhile emailing to schedule a visit in advance, as even the wineries with tasting rooms will not staff them continuously. Per Jim Boyce, the expat wine guru who runs the Grape Wall of China blog, there’s one other noteworthy local producer: the ten-year-old Chateau Yuanshi, with 2,000 acres under vine. “The winery is beautiful, made from local stones—the owner also owns a quarry," Boyce says. "It’s one of the most stunning wineries I’ve ever seen." Yuanshi also produces a fine white, a rarity in China, which has a marked preference for red thanks to cultural associations (the flag and good luck, among them) and palate preferences (robust reds are easier to pair with many standard Chinese dishes). Here, don't miss the unoaked chardonnay. 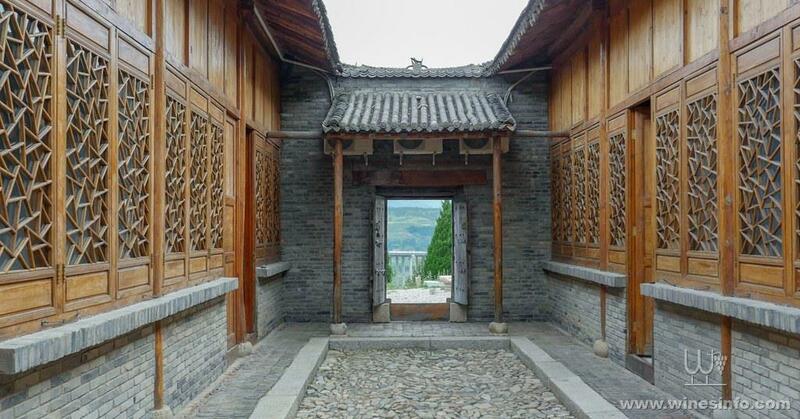 Most visitors come to this province to view nearly 10,000 terracotta warriors and horses dating back to the reign of Emperor Xin in the third century BC; to see them, the best base is Xi’an—and the handiest hotel is the Sofitel Legend People’s Grand. Recently, though, the wineries have become a common second stop after the chance to eyeball those armies. Chateau Reina is a startling sight, as if a medieval Tuscan castle had been moved, wholesale, to the Chinese countryside. Instead, it’s a tribute to the Italian businessman Augusto Reina, whose Illva conglomerate has heavily invested here in partnership with wine production company Changyu (Illva best known worldwide as maker of Disaronno liqueur). Changyu operates the vineyard day to day, but Illva has provided technology and know-how. There’s a museum inside that details the history of winemaking in China, plus well-equipped tasting rooms; you can also snap a selfie with the cartoonish sculpture of grapes on its main lawn. China Wine Tours’ Curtis is particularly fond of Jade Valley winery here. It’s architecturally stunning—no wonder, given that owner Qingyun Ma was once dean of architecture at the University of Southern California. “He has created such an experience there—it’s a wonderful place to go and experience Chinese culture, along with the wine, especially when they’re hosting a good and wine pairing dinner,” says Curtis, who can arrange seats for clients at those dinners. The closest region to Beijing, on the coast just across from North Korea, this area attracts visitors for the all-round experience, rather than its standalone vintages. “Shandong was the birthplace of commercial wine in China, but that doesn’t mean it’s the best place to go,” says Steckenborn of the area, which is home to more than 140 wineries. It’s the biggest producer of wine in China, and sits on the same latitude as Bordeaux; unlike France, though, it struggles with rain. The true lure here isn’t the vintages, but the chance to see theatrically designed wineries where no expense is spared: think Scottish castles, French chateaux, and Bavarian follies. Later this year, though, Shandong will welcome a new facility, one which is likely to earn it accolades from oenophile snobs: Wine City. It’s a project by the aforementioned Changyu, China’s oldest wine company and the largest winemaker by sales, which has cost a staggering six billion yuan (around $895 million). It combines air hangar-like production facilities with more of those Epcot-like castles and a tall, wine glass-shaped research tower topped with a bar that will serve top-tier domestic wines. After several delays, it’s currently earmarked to open by the end of this year.